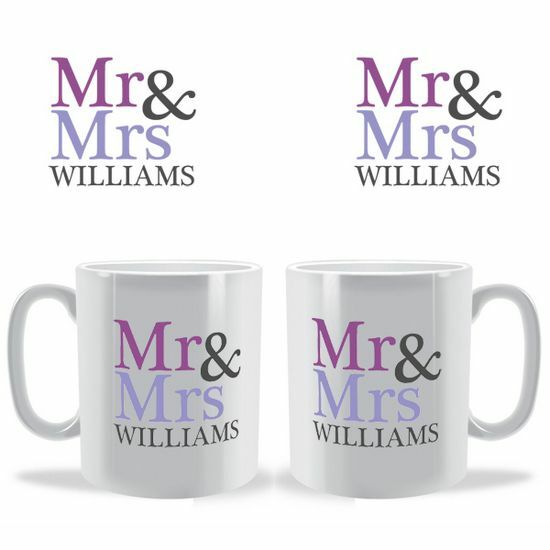 It is a big moment in life when two people join together in matrimony and from that day onward adopt the title of Mr & Mrs so what a fitting way to celebrate this momentous event than with their very own personlaised mugs. 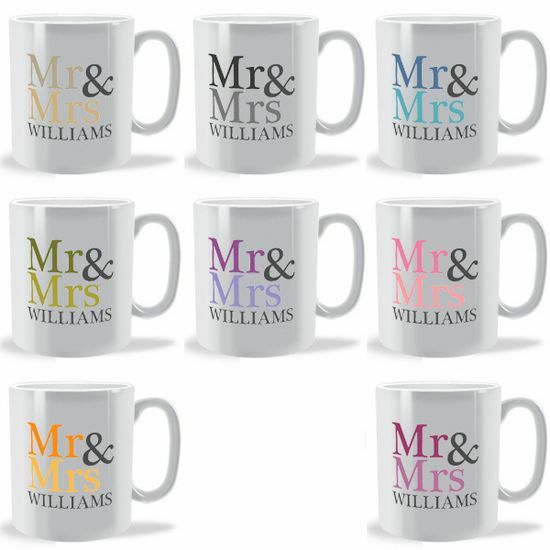 Now the beauty of our designs is that mugs can be bought individually or in pairs and because not everyone has the same tastes in colours scheme each can have their very own from the eight different variations on offer. These mugs make fab gifts to the bride and groom on their wedding day or to celebrate their anniversary and they can even be given as engagement prezzies when a couple announce they are due to get married. 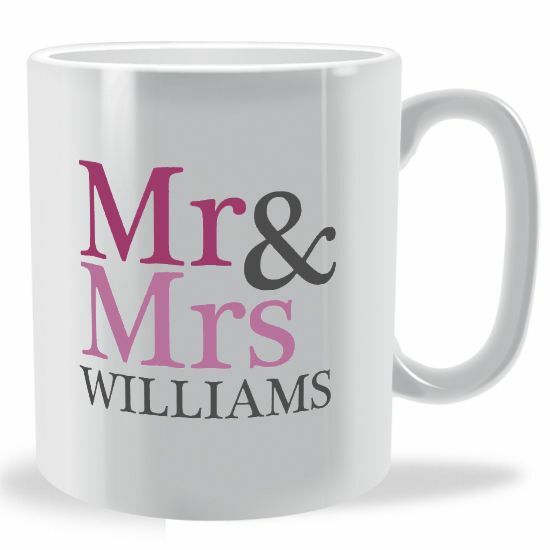 If that was not all as this deign is available on both ceramic and bone china mugs they can each have different style mugs as well. Bonus! NOTE: Mugs are sold individually so you will need to purchase 2 to make a set. A name or surname up to 12 characters long, including spaces. Please be careful when entering your information as we cannot be held responsible for spelling mistakes on personalised items. Sand, Slate, Sea, Moss, Violet, Rose, Sun or Wine.